The Burn 24-7 is a renaissance movement of vertical worship and intercession. Jesus appointed the twelve to first of all “be with Him”. This core value set the pattern of David’s Tent, St. Francis of Assisi and his troubadours, and the Moravians. This is also the DNA of the Burn. The Burn is diverse in expression, non-denominational in affiliation, simple in focus, and missional in practice. New branches are growing up from the ancient roots of David’s Tabernacle. When Saul encountered the Presence of God in the company of Samuel’s school of prophetic minstrels, he was “turned into another man”. When David brought the Ark of God to Zion, Israel was turned into another nation. An open heaven environment rested on an entire region. As a result, the dream that God had for David’s generation was realized. David’s Tent is being restored today on a global scale, and the influence of the Kingdom of God and the outpouring of God’s Spirit will flood the nations. This is the heartbeat of the Burn – to see the Father’s dream for this generation realized. This is not the mission of some elite group of spiritual people. It is the heart of God for His beautiful bride, the Church. So come and be ignited. Worship. Pray. Burn. Burns typically last between 24 and 100 hours with the goal of becoming 24-7-365. These times are divided into 2-hour shifts, which are filled by teams from the body of Christ in the region. These teams range from one person leading worship and prayer from a guitar, keyboard or other lead instrument, to full bands accompanied by prayer leaders. Artists and dancers join many sessions as well. There is a set focus, but there is not a set format. While well-known songs are sung, the creative, Presence-charged atmosphere in Burn gatherings creates space for the new Song of the Lord to flow out, and prophetic intercession to come forth. This is the heart of BURN 24-7. Many Worship and Prayer Leaders have never experienced leading in a gathering where there has already been many hours of momentum and breakthrough. In the Burn they experience dimensions in God they have never known in the context of a 30-minute worship service or an hour-long prayer meeting. 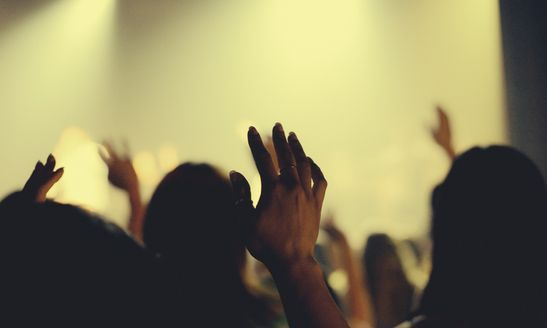 It is a consecrated place to minister to God first and go vertical in our worship and prayer in the spirit of the Davidic Tabernacle (Amos 9 and Acts 15) and not being consumed with horizontally connecting with the audience. Burns are accompanied with an extraordinary freedom in the Spirit, yet there is a divine order to it all. Some lay on the floor, lost in God’s Presence, while others dance. As the Father’s heart is revealed, waves of deep intercession for the region and the nations will wash through the room, as well as waves of deep rest and joy. One person might experience all of these in one two-hour shift. In short, there is a lot of variety and diversity of expression in the Burn. To sign up to lead a two-hour shift, check out the Burn city nearest to you, and send an email to the director. We are a global community and tribe on a journey pursuing His presence and His face. We are burning and believing for our families, communities, cities and nations to be reformed and transformed by His lasting and sustaining glory in our midst. BURN 24-7 carries the Amos 9:11 and Acts 15:16 Davidic calling to “rebuild again the Tabernacle of David” so that the “rest of humanity may seek the Lord.” Our vision is simply to answer the cry of God throughout the history of humanity for a “resting place” (Isaiah 66) to be established so His Spirit can collide with a broken humanity. This is a beautiful place where His body gathers in a spirit of unity to release a 24-7-365 indigenous expression of vertical worship and adoration. From these furnaces of intimate love, fiery intercession can be released to rule, govern and establish righteousness in the nations of the earth. Our primary reason to create and release an expression of night and day worship is because HE ALONE IS WORTHY TO RECEIVE IT. We gather from across denominational lines and ethnic boundaries to build an altar where the fire of our burning love will not go out until the return of Jesus to the earth. We join with the song and sound of Heaven and those ministering night and day around the throne to cry out: “Holy, Holy. Holy is the Lord God Almighty!” We believe that as we model this activity and expression of Heaven, we will see the reality of the kingdom of Heaven collide with Earth in our communities, regions and nations in a real and supernatural way. Only in a posture of beholding Him, can we hope to become like Him to the rest of the world. As we obey and respond to the first commandment of Jesus to “love the Lord your God with all your heart” we are compelled by His love and goodness to “love your neighbor as yourself” and walk in supernatural signs and wonders carrying His presence into every sphere of society and culture. The mission of BURN 24-7 is to plant a sustainable furnace of 24-7-365 worship, prayer and explosive supernatural outreach releasing a sound of indigenous creative vertical worship in every community, people group, city and nation in the world. We believe the Bible to be the only inspired, infallible, and authoritative Word of God. We believe there is one God eternally existent in three persons: The Father, Son and Holy Spirit. We believe in the deity of Jesus, God’s only son, his virgin birth, his sinless life, his miracles, his atoning death on the cross, his bodily resurrection, and in his second coming to earth in power and glory. We believe in the present ministry of the Holy Spirit by whose indwelling believers in Christ are enabled to live a godly radical life. We fully believe in the active baptism of fire released in Acts 2 and its daily importance to the life of the believer. We believe in the resurrection of both the saved and the lost; the saved to the resurrection of eternal life and the lost unto the resurrection of eternal judgment. The BURN 24-7 is not affiliated or aligned with any specific denomination. We strongly believe that we MUST work with all Bible based denominations to the build sustaining burning furnaces. We also believe that is was the cry of Jesus for His bride gather in a spirit of unity to worship, pray and contend for the promises of God over their communities, cites and nations. A legal board of directors governs and is accountable for decision-making, leadership, methods of operation, and maintaining the original God-given vision of BURN 24-7. This counsel is made up of leaders, pastors and businessmen who meet regularly and review the operations of the ministry. Ultimate responsibility for the organization resides with the Board of Directors and they provide the spiritual covering for the BURN 24-7. The board has empowered the directors of BURN 24-7 Calgary, Joe & Nola Sinanan, with daily decision-making ability for the organization. A council of true apostolic leaders from across the nations carry a voice to speak into the vision, values, mandate and methods of the global BURN 24-7 movement. Connected with Sean and Kate Feucht through covenant relationship, these leaders carrying apostolic authority are spiritual fathers and mothers to the next generation of leaders arising across the face of the earth. They practically teach, prophesy, train, and encourage through leadership summits, global conference calls and personal retreats and round-table meetings with Sean, Kate and the board of directors. Burn 24/7 Calgary is completely dependant on the support of our partners. These funds go directly to salaries, administration expenses, travel costs, leadership training, outreach and event expenses. We take the responsibility of stewarding Kingdom finances very seriously and genuinely appreciate every dollar of financial help to move this important ministry forward.